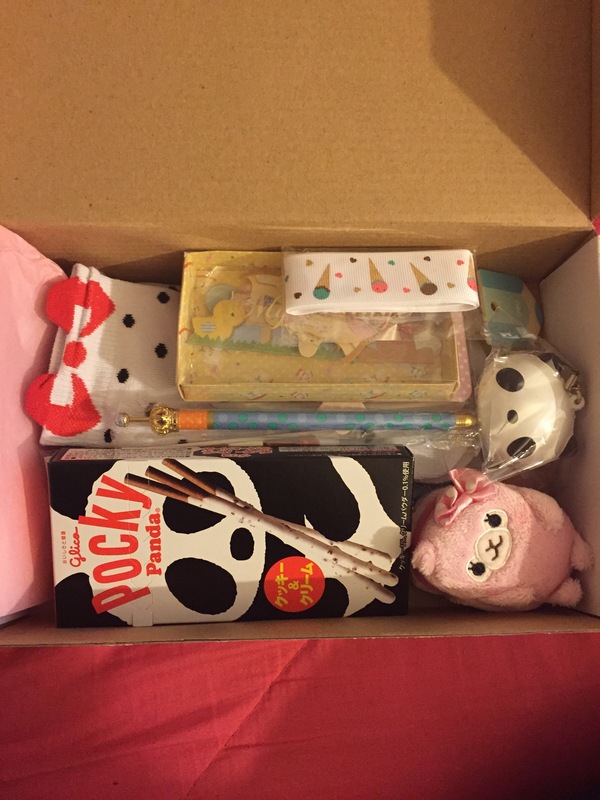 Alright so this is a new topic for me but for those of you who like Japanese or Korean snacks or items will love getting this cute little box each month. I actually heard about this company through YouTube by watching a blogger by the name of momotokio do a box opening of her kawaii box. 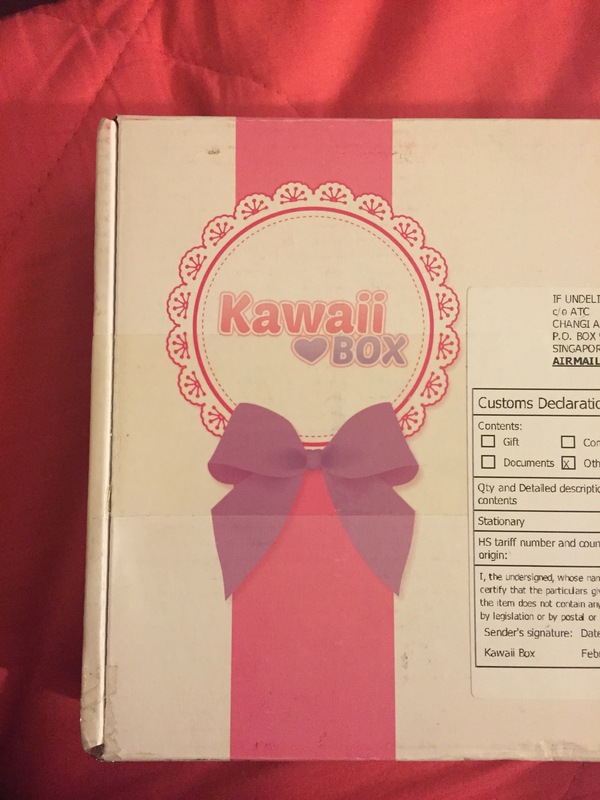 After that I went on to kawaii boxes website myself to get more information to which I ultimately ended up subscribing myself. So let’s get started on the review and then later on below I will list the cost and a link to the website. So as far as shipping is concerned it took about 2 weeks for me receive my box but since it was coming from Singapore I understood. They did give me a tracking number as well as email me when it had shipped. The only complaint I had was that I couldn’t track it. Every time I tried to it said that shipping information wasn’t available. But that for me wasn’t a big deal since I knew I was going to get it soon. When I go my box it arrived in this cute white box with the company’s name written in the corner and taped very nicely. Once you open the box there is pink tissue paper of course with a cute postcard to match. And these are the items I had inside…. I had in total 9 different items and everything was just so cute and adorable. 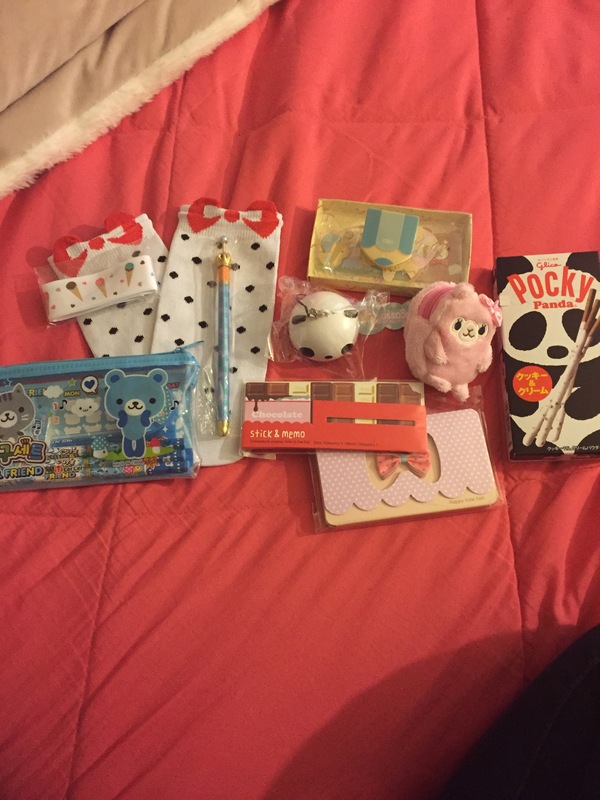 I especially love the socks, the pen, and the panda phone charm. I definitely can’t wait to get my next box from them which should be at the end of February. The total cost of a monthly subscription is 18.90 a month. They also only accept PayPal so if you don’t have a paypal account it will direct you to create one. 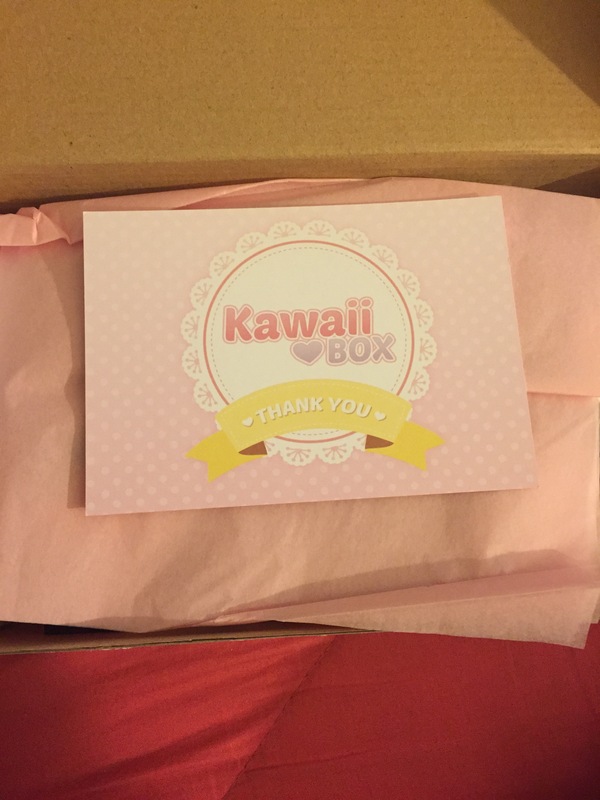 The website is Kawaii Boxif you would like to take a look yourself. Let me know if the comment below what you think of this review and also let me know if you would like me to review each box that I get. 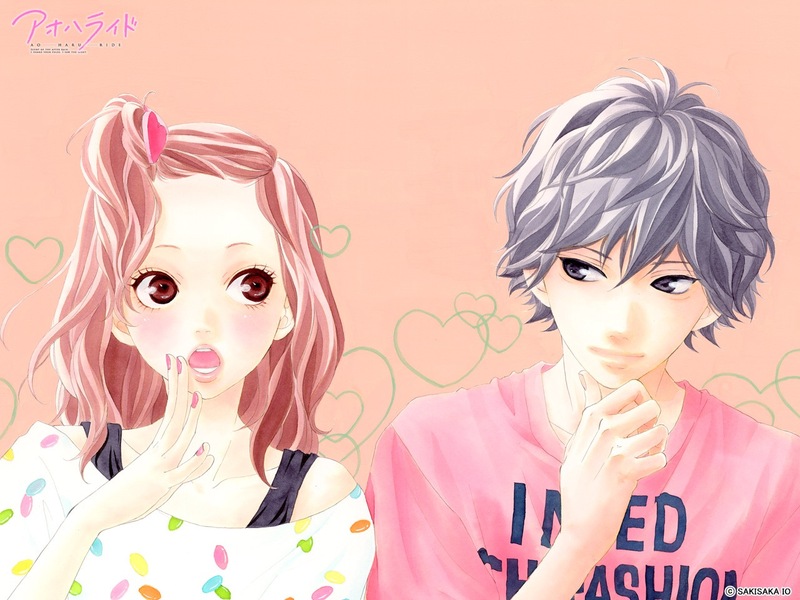 Happy Watching ~ Anime Review Girl! 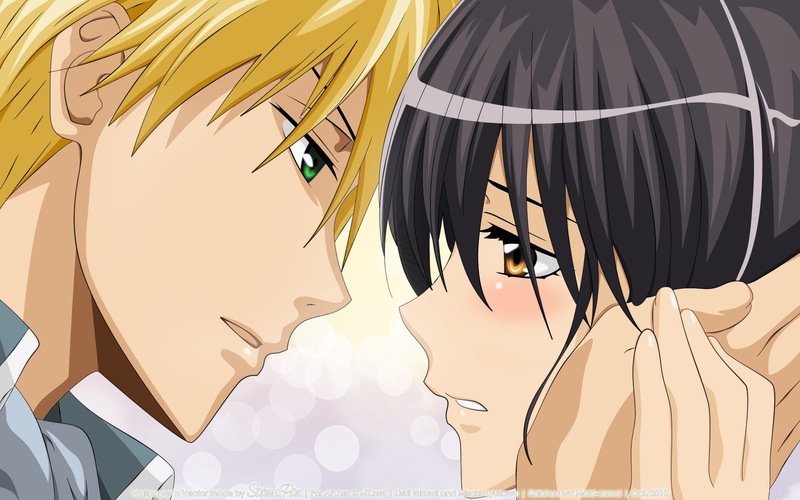 Shoujo Anime….Why People Like It! This was a topic that this crazy mind of mine thought up and also because I’ve seen quite a few posts about shoujo anime recently. 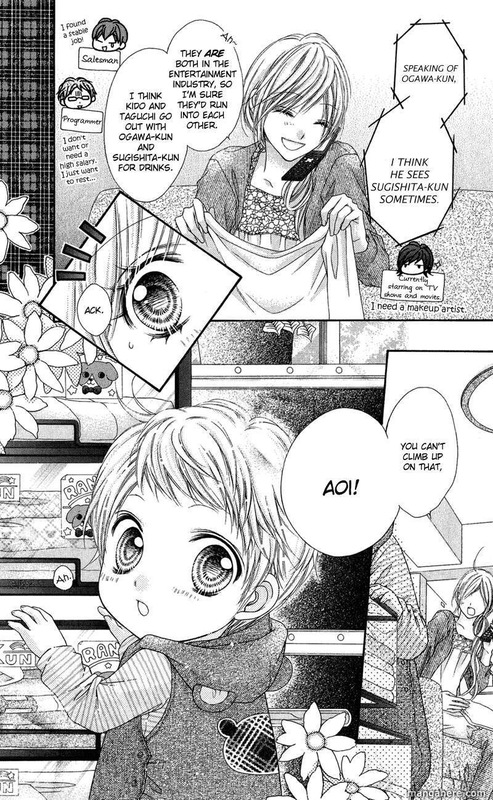 But I was wondering why people enjoy shoujo anime so much? 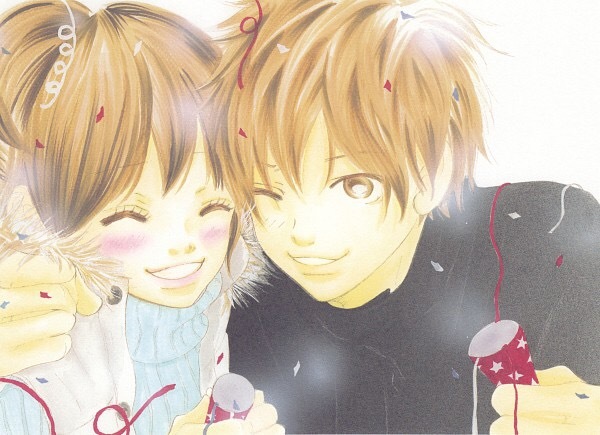 Now before I get flaming posts about this topic I just want to say that I have NOTHING against shoujo anime. I personally enjoy them a lot and I’m always looking for new ones (feel free to recommend some). I just wanted to know why they are so enjoyable. I mean is it the storyline, the characters, the music, the animation, the humor (in some cases), or could it just be that it’s anime so why not enjoy it hehe. 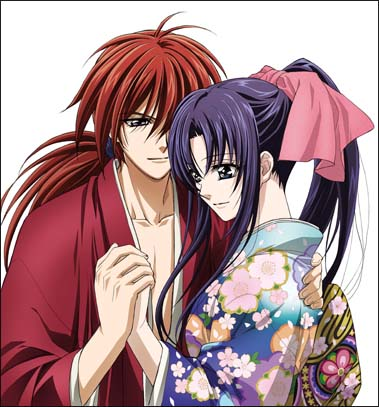 But I can’t speak for anyone else but I think why I enjoy shoujo anime is so much is that I love to watch lighthearted anime’s sometimes to just escape and get away from the real world for just a little bit. 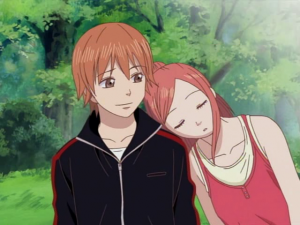 Also it makes me happen to see someone even if it is someone that isn’t real get their happy ending and see things go right. Plus I’m a total romance kind of girl! I can’t help it! 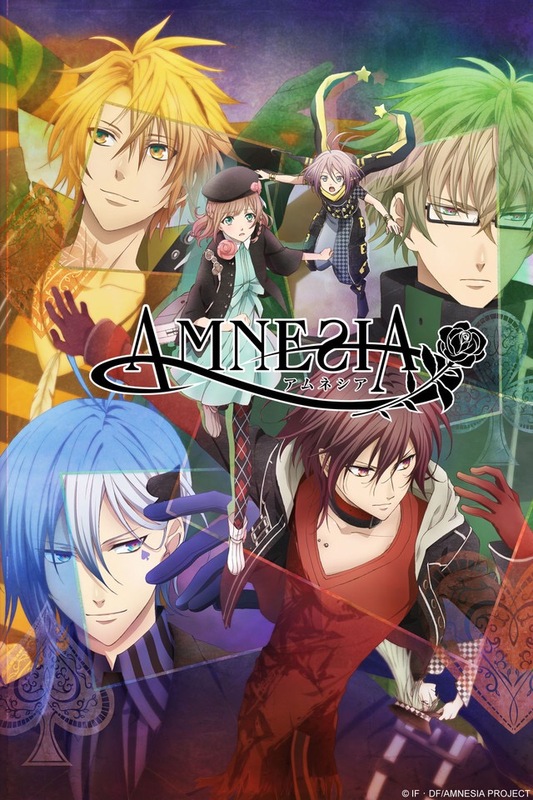 I also really like the music in this genre of shows, the animation at times can be really clean and sharp, and plus why lie but the guys are always so cute haha. 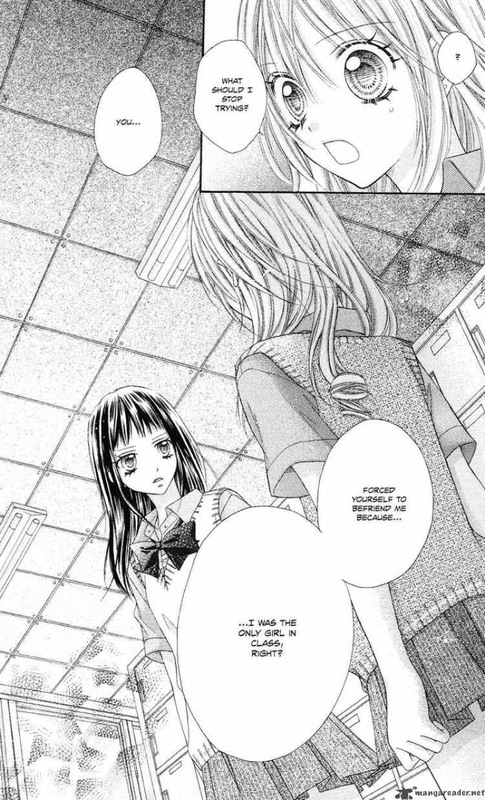 But seriously why do you enjoy the shoujo genre? I would love to know! Comment down below and like always I will comment back! I’ve liked Pokemon since I was a kid and even though I don’t watch the show as much as I used to I still do throughly enjoy the entire Pokemon franchise. 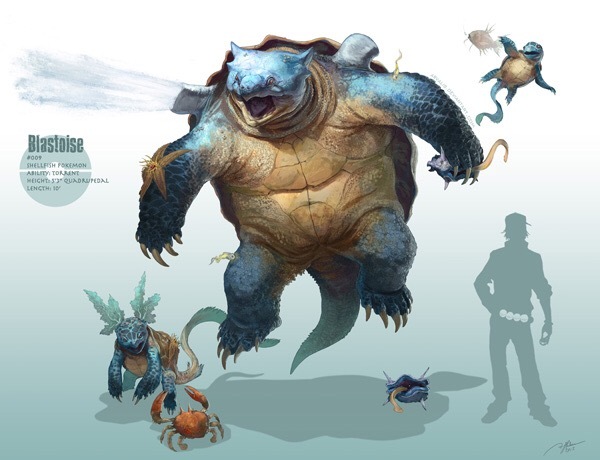 But this got me thinking about what if Pokemon was real? I mean I could just picture going on adventures with my friends, battling with our Pokemon, and of course catching Pokemon. 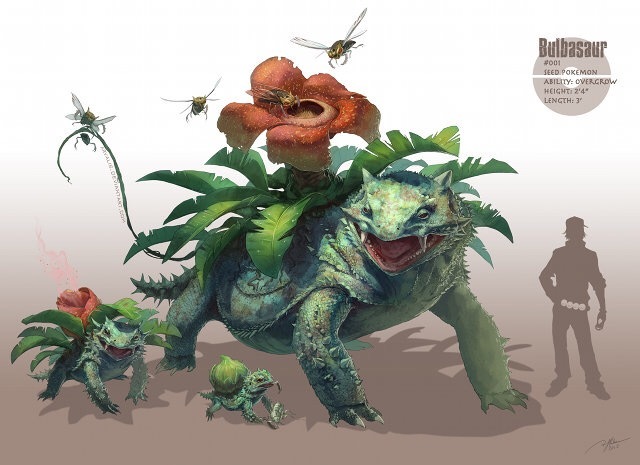 The world of Pokemon has always been fascinating to me. I mean I would love to have Pokemon help out with chores like Mr. Mime did for Ash’s mom or also just having a Pokemon for a friend and companion like Ash’s Pikachu. It would just be something astounding and wonderful. But hold on one second what if Pokemon was actually real but we just haven’t discovered them yet or what if they did once live long ago but they died out or migrated elsewhere. Now wouldn’t that be crazy. You never know what may have happened long ago or what may happen in the future. 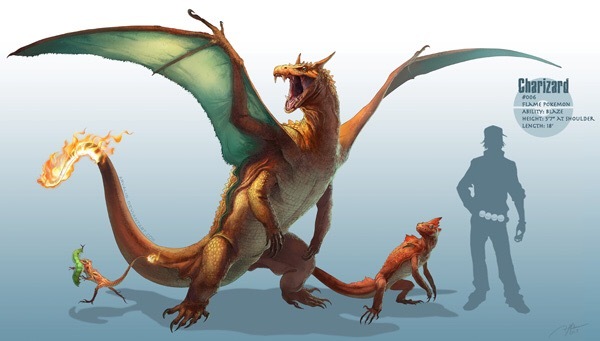 I did though find on the internet pictures of what the 3 starter Pokemon from the red and blue versions of the video games would look like if they were real. These images just looked really cool to me even though they don’t look as cuddly and nice as they do animated but still it’s very neat. But what do you think about all of this? Leave your comments below regarding this topic and of course I will always respond.